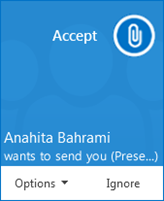 Right-click the selection, click Start a Conference Call, and then click Skype for Business Call. 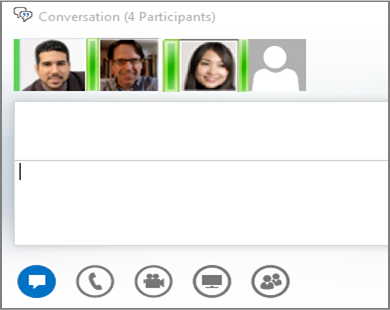 Or, turn an IM conversation that you’re having with one person into a group IM conversation, by pausing on the people icon at the bottom of the conversation window, and then clicking Invite more people. 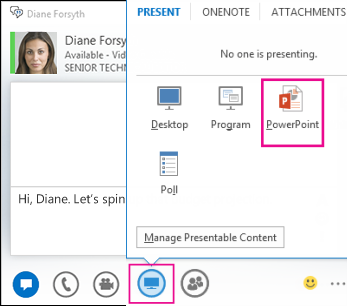 Tip: Add audio, video, or both to an IM conversation by using the phone and/or video icon below the text input area. You can also send a file to contacts you’re not currently in conversation with.